Karen Bakker was born in Montréal, Quebec and did her undergraduate studies at McMaster University, graduating in 1995 with a dual B.A./B.Sc. She continued her education at Oxford University as a Rhodes Scholar, where she obtained her DPhil in 1999 at Oxford University’s School of Geography and Environment. Following three years as a postdoctoral fellow at Oxford, she began her academic career at the University of British Columbia, where she is now a Full Professor. She was awarded a Canada Research Chair (Tier 2) in 2011. The author of over 100 academic publications, Karen’s research focuses on environmental governance and innovation, with a focus on fresh water management. 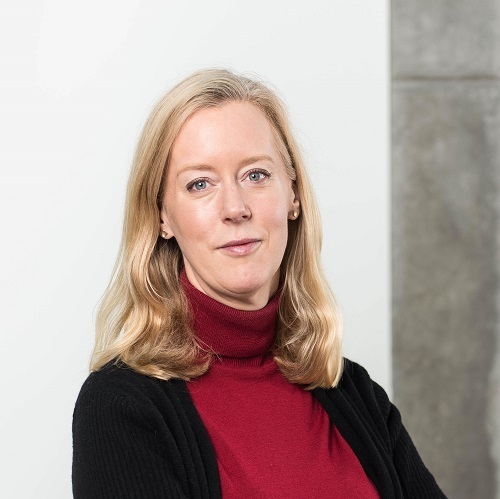 Although primarily a social scientist, she regularly engages in interdisciplinary research collaborations, and has held NSERC funding as a co-investigator. Fluent in French and Spanish, she has conducted fieldwork in over a dozen countries in Europe, Asia, and Africa. She is the co-lead of a SSHRC Partnership Grant (Sustainable Water Governance and Indigenous Law), and is also currently conducting research on the disruptive impact of technological innovation on environmental conservation. She has been a recipient of Stanford University’s Annenberg Fellowship in Communication, Stanford University’s Cox Visiting Professorship, a SSHRC Impact Award, and a Killam Faculty Research Award. She is a Pierre Elliott Trudeau Foundation Fellow and a member of the Royal Society of Canada’s College of New Scholars, Artists and Scientists. Karen is a member of the Board of the International Institute for Sustainable Development, and a member of the Editorial Board of Global Environmental Change. She regularly acts as an advisor and consultant for international organizations, and her work has been widely published in the popular press. She is a certified workplace coach with the International Coaching Federation. She was named one of Canada’s Top 40 under 40 in 2011.